Approximate Dimensions: 25" x 42"
Woven jute backing for enhanced durability of the olefin top layer. A non-skid pad is recommended for hard surfaces. * Please Note: A non-skid pad is recommended for hard surfaces. A well-chosen hearth rug can add style to any hearth, and this oriental half round hearth rug is ideal to enhance the atmosphere of your home. Not only will this high-quality, bear pattern rug add visual appeal to your hearth, but it will also provide safety to you and your family. Its olefin fibers protect your carpet from soil and dirt as well as from dangerous sparks and embers. In order to provide an elegant appearance to your hearth for years to come, this rug offers the durable, long lasting color that you expect from Goods of the Woods. 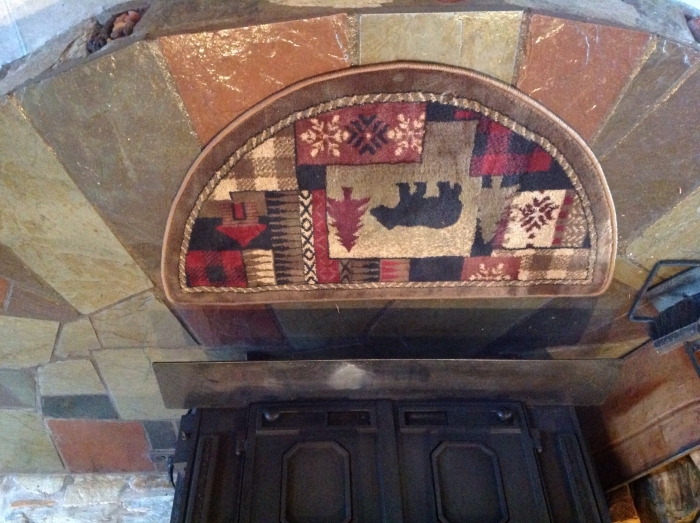 Is this Goods of the Woods Oriental half round Olefin hearth rug with bear pattern machine washable? You cannot wash these rugs in a washing machine. The manufacturer recommends a damp cloth for cleaning. Lukewarm water and detergent can be used for cleaning, Olefin dries quickly, so we recommend line drying or low-tumble drying with little or no heat. I would not put it in the washing machine, it is not pliable enough but I would use a small shampoo machine. The care label says to blot stains and professionally clean when necessary. Spot clean with water and mild detergent rubbing gently with a non-adhesive sponge or cloth. Do not machine wash or use solvent cleaners. Vacuum as needed. Is the 25 inch measurement the flat part of the rug? The 25 inch measurement is taken from the flat side of the rug out to the center of the arch on the opposite side. Loved the rug I bought for my son. It was easy to order and really fast shipping. Great job ! Great looking and perfect size for the space in front of my fireplace. This rug is very durable looking as well as very nice. I cannot rate it for fire because it's the middle of summer. I received my rug very fast it lays nice and flat in front of our pellet stove and looks great. This rug looks great and is just the right size. 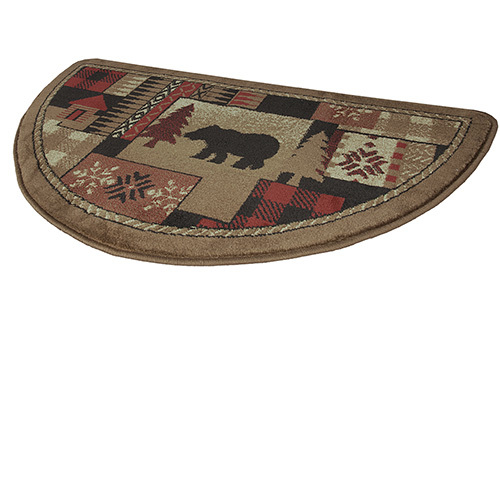 Very nice hearth rug accent that is functional and adds to the decor of our log home. Love it! Very good quality! Like the pattern. Good size for our room. This rug could not have been more perfect in front of my fireplace hearth, & ideally complements other fireplace accessories I have ordered from eFireplaceStore! Good value for great rug. I am enjoying this fireplace rug, as it blends so well with my dark hardwood floors! Looks great with my holiday look and will still blend with the winter season look of my home! The quality is great.....I do wish that it was a little larger! Just what I was looking for as my fireplace is close to carpeting and I needed a buffer. I love the design. (especially as I live in Big Bear City) It looks great and seems to be made well. Glad I found the site, as I looked at many before ordering. Perfect for my deer hunting cabin. Very good item and service. I just love this rug. Very well made and just fits in with our dor so well. Colors are very rich. This is a great rug and replacing it after 2 years due to someone putting a hot ash can on it. 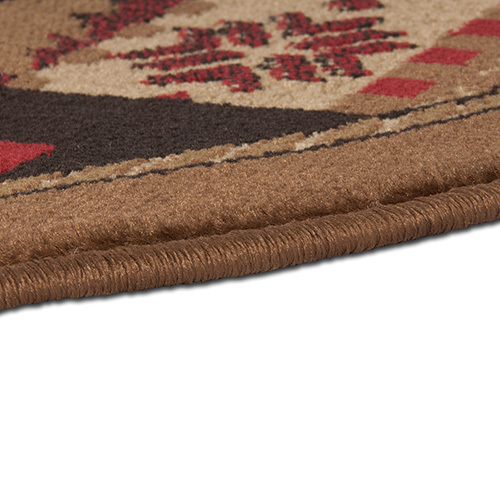 I'd say the rug is very durable and would recommend it as a great purchase and carpet or floor protector. Plus it looks good. ProsVacuums easily. Keeps it's Knapp. ConsThere is one spot that had white thread showing on a black design. ConsCinder burn occurred prett fast! Beautiful rug. Thick pile and extremely soft. My husband already dropped some large embers on it and it is definitely fire proof. The dark rich pattern hides the burn marks nicely. Highly recommend this rug and will purchase it again. Rug is very soft and looks GREAT! Over all, great experience and a great price. Thank you! great looking well made rug that looks great in front of my woodstove stone hearth !! Added a nice finishing touch to our new insert, a Lopi i1750. The puppies love to lay on it with a raging fire going. It looks awesome and has stayed very clean in front of the fireplace. Love it! Great product. Looks even better in person. Soot and debris, cleans up very easy with soap & water and vacuum. It's just what I expected. Lays flat, nice quality, fast delivery and looks great! 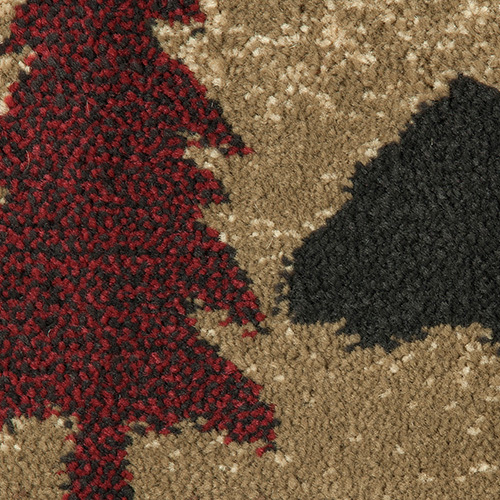 I bought two of these fireproof rugs, because I have two fireplaces in my cabin. They look beautiful and go great with the rest of the bear decor I have going on throughout. Very happy with the purchase and they arrived way faster than I thought they would. 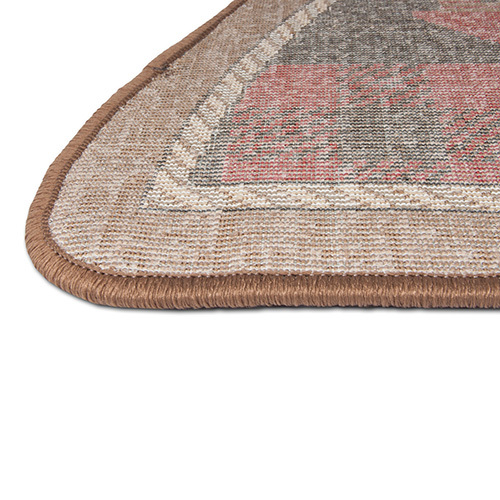 This half round rug is very attractive, good size for our firebox and is a good price. The rug is thick but does not pose a tripping hazard. great product and website. Delivery fast. Very happy with this store. Will be back again. The only downfall of these rugs are that they slide all over my wood floor. I am constantly readjusting them . I had to buy rug holders. The code of these rugs warrants the manufacturer's need to have some kind of grips on the bottom. 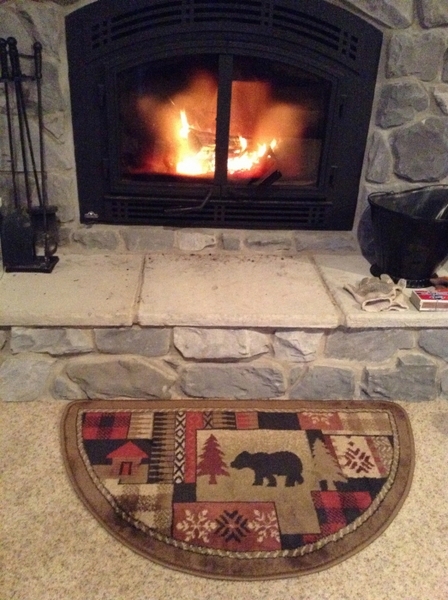 Ordered the Goods of the Woods Oriental Half Round Olefin Hearth Rug with Bear Pattern. Exactly as described. Looks great. Haven't had any Chaotic embers flying around yet so I am not sure how well it works, but at least it looks good! Quality construction and craftsmanship. Beautiful rug, perfect colors for our application!!! 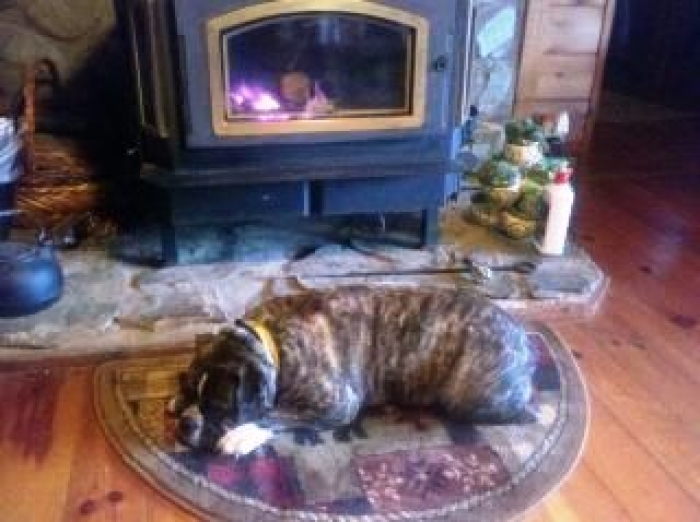 We are very pleased with our fireplace hearth rug from this seller. It definitely lives up to the web-site description. rug was a gift and our son & daughter-in-law love it. Quality seems great and it is a beautiful rug! Arrived on time, nice rug and looks good in front of the fireplace. Totally awesome! It looks better than the picture. The size is perfect. I would recommend this design to anyone. gloves are perfect. they come up to your elbow which protects your arm(s) as well. in future will shop on your site. Rug is very nice and looks great in front of fireplace. would do it again. Nice hearth rug. Easy ordering and arrived before expected. This rug is so beautiful its a shame to allow it to collect the debris from filling the stove. Ordered this for the wife, she liked the theme that went with the rest of the living room. Shipped very fast and feels like decent quality. She said she would like the same design (theme print) in a larger runner style carpet as well..
BTW, Long straight edge is 48", the 24" is measured from the outside radius to the flat side. Excellent rug -- very well made. Bought as house warming gift for son. 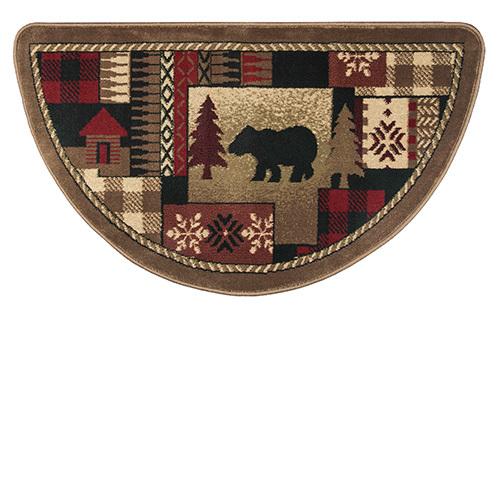 Ordered the cute lodge style fireplace rug and it was as described. Really nice quality and we love the protection it offers from those pesky hot sparks that fly out of the fire when you least expect it. Our doxie loves it, too! Plush yet durable! The order arrived a lot faster than expected - excellent service!! Thank you for a great product and service. Nice quality; great colors and prompt delivery! LOOKS AWESOME & IS SOFT COMFORTABLE WHEN STEPPING ON IT!! This is one "soft" piece of carpet. It looks awesome in front of our new woodstove....fits great with our cabin especially as we are in the great Green Mountain State. ProsExtremely fast service received product within two days of ordering it online!! The rug looks great in our cabin, Thanks for the fast shipping and wonderful product. This rug was purchased to go in front of our woodstove, sitting just at the edge of the brick pad the stove sits upon. Occasionally sparks will fly as the stove door is opened, and we needed a thick, tough rug to be in this area to protect our underlying carpet. This rug arrived with just those qualities! It has beautiful, rich colors and a gorgeous, woodsy pattern. I am thrilled to have this in our home, and believe it to be worth every penny of the price paid. Very Satisfied With This Rug~!! We received our beautiful hearth rug in excellent-excellent condition! The colors are vibrant- materials are of the best quality- and it was shipped quickly & professionally! Thank You for a wonderful purchase~! Very nice, rich looking carpet. Happy with purchase! Love this rug, colors are awesome and also is very comfortable to stand on barefooted. Have had several compliments from friends and family that also seem to like this rug. Looks very nice if front of our pellet stove insert. Very pleased! ProsLike everything about this rug! 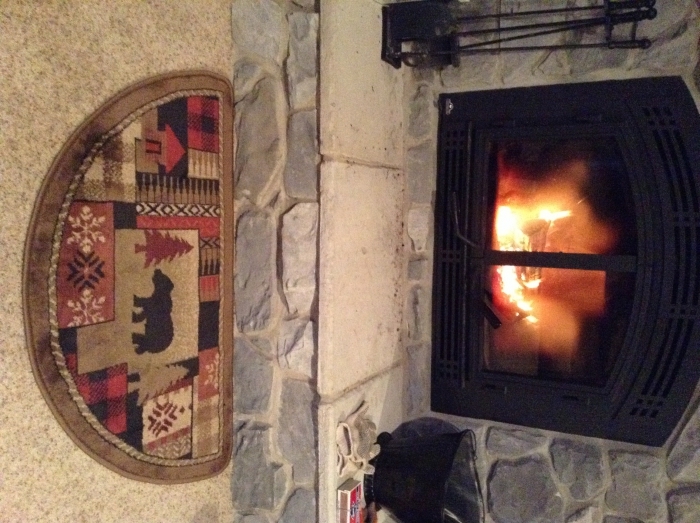 The rug is good quality and looks beautiful on the hardwood floor in front of our wood stove . Perfect size, awesome colors.